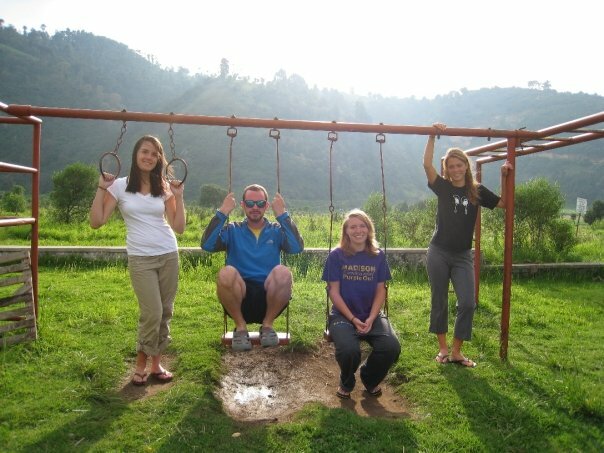 A few years ago I was given the opportunity to lead an adult mission trip to Guatemala, (nearly identical to the one Lindsey went on 2 weeks ago). It would be my responsibility to help organize the trip, make sure we had all the proper preparations taken care of, and then lead the adults while in the country. I was 19 years old at the time, and all of the adults on the trip were closer in age to my parents. “Stressed” doesn’t even come close to describing the way I felt between organizing the trip and making sure we all arrived in the country. I mean this in the best possible way, but that trip was the first time I really experienced what its like to be a shepherd herding sheep. We had been in Guatemala for 24 hours when it was time for us to make the long bus journey to the village where we would be working. I don’t know whether it was the restlessness that accompanies an impending workweek, or if I just had trouble sleeping, but I woke up before anyone else and I walked around the town of Panajachel on the banks of lake Atitlan. By the time I made it back to our little bungalows I thought I was still the only person awake, so I made my way back to my room before breakfast. Because I was leading the trip in tandem with my home pastor, we had been assigned to the same room, and I quietly crept in so as to not wake him up. When I finally pushed the door open I saw something that stopped me in the doorway. Jason was kneeling on the cold hard ground with his bible open on the bed praying out loud. I froze in the doorway because I had known Jason for 5 years and I had never seen him pray outside of Sunday worship. I could not hear everything he was saying, but it was one of the most beautiful things I had ever witnessed. And standing there in the doorway, watching my pastor pray on his knees, I felt convicted. In that moment I could not remember the last time I had talked to God. How often have we wanted to ask Jesus the same exact thing? I can tell you, that as someone in the ministry, the only question I hear more often than “what will happen to me when I die?” is “how am I supposed to pray? Clearly this is something that gets at the heart of what it means to be a follower of Jesus Christ because even the original disciples wanted to know how to pray. In the same way that my pastor Jason’s prayer moved me to want to learn to pray, Jesus exemplified the importance of prayer for his disciples. Father. Notice: Jesus does not pile adjectives on top of each other, its not O Great and mighty most wonderful eternal and almighty God. Instead he simply encourages his disciples to say, “Father.” This word alone helps to signify how this prayer can be both personal and communal. The disciples are to call God “Father” in an intimate and connected way while at the same time recognizing that they have one “Father” to which they can pray together. By beginning with “Father” Jesus is inviting his followers to share in his own prayer life, hoping that they will approach God in the same way that he does. “And forgive us our sins, for we ourselves forgive everyone indebted to us. And do not bring us to the time of trial.” There is a subtle difference in the prayer at this point as compared to the one from the Gospel according to Matthew, which we say together every week. Instead of “forgive us our trespasses, as we forgive those who have trespassed against us,” Luke tells us that Jesus taught the disciples to seek God’s forgiveness of their sins as we forgive those who are indebted to us. Jesus is concerned with the way that we relate to God, one another, and to God’s creation. When we pray we are not isolated beings stratified from those around us, but we are personally connected with God through our brothers and sisters in Christ. According to Jesus, prayer is supposed to accomplish communal fellowship in such a way that we are not hindered when gathering as the body of Christ. This means that if we take seriously the words of prayer that Jesus taught us, we can’t ignore those sitting with us in worship, and everyone within the greater community. Jesus concludes his prayer for the disciples by using a little parable to help explain true perseverance in prayer. Through the story of the friend asking for three loaves of bread in the middle of the night, we learn that prayer is to be continually asking, seeking, and knocking. “Ask, and it will be given to you; search, and you will find; knock, and the door will be opened for you.” Prayer is a learned experience, one that is continually cultivated. Prayer is not simply a release of feelings toward God, but a disciplined habit that influences the way we live our lives. About a year ago, I was making regular visits to the shut-ins from a church in Durham, North Carolina. Every week I found myself sitting with all sorts of people learning about their pasts, and experiencing discipleship in new and exciting ways. Though most of my visits were often filled with excited dialogue there was one particular lady who never spoke. In fact, after meeting with her son, I discovered that she had not talked with anyone for some time. Whenever I saw her we would sit together, I would tell her about all the things happening at church, and I would eventually spend most of the time reading scripture. Her son was almost always with us in the room, and always politely thanked me for coming over but made it clear that there was nothing to be done. One afternoon, after reading from the Gospel according to Mark, I decided to try something new. I began to sing one of my favorite hymns: “Lord, I want to be a Christian in my heart, in my heart, Lord I want to be a Christian in my heart.” By the time I was halfway through the second verse I noticed that she started to move her head back and forth, and as I lowered my singing voice I noticed that she was humming along with me. I looked across the room to her son, and with tears in his eyes he started singing with us. This was the first time, in a long time, that he saw his mother communicating. Before I left, the three of us held hands for prayer and when I started to say “Our Father, who art in heaven,” she joined us and said the words that Jesus taught his disciples. It never ceases to amaze me how deeply profound our prayers can be. For that woman it was the hymns and the prayers of church life that stuck with her. They had helped to shape the life she led, and then helped to reunite her with her son that afternoon. 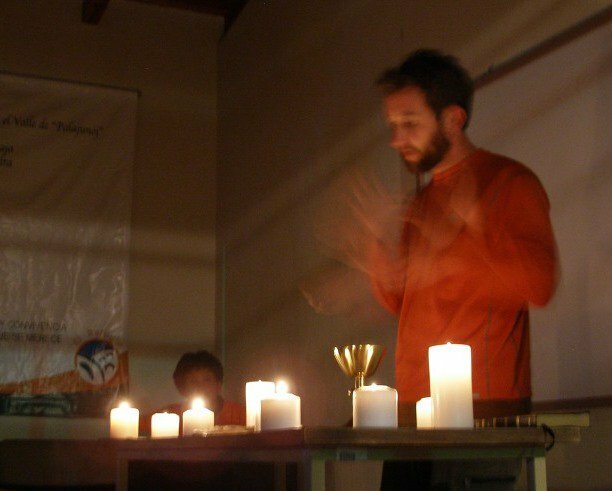 When prayer becomes habitual in our lives, when communicating with God becomes part of who we are, our lives will be turned back to the one in whom we live, and move, and have our being. 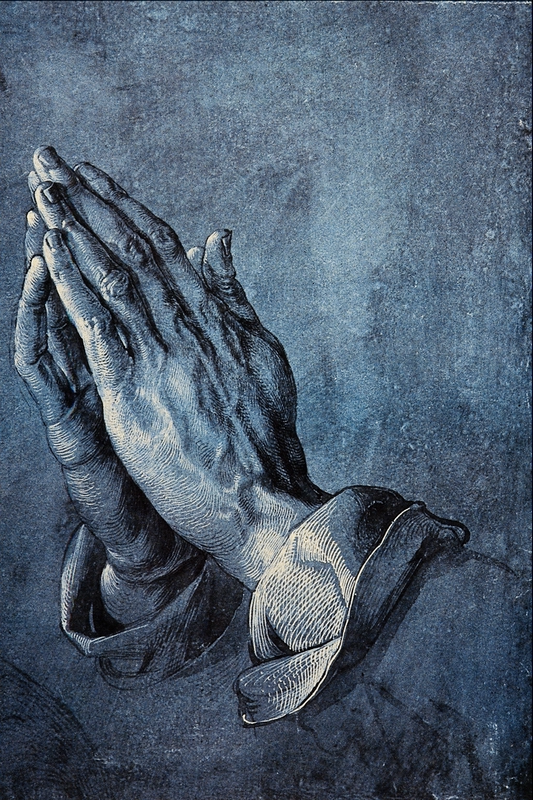 My Christian hero, the Swiss theologian Karl Barth once said: “To clasp the hands in prayer is the beginning of an uprising against the world.” When we follow Jesus and allow prayer to shape our lives like it shaped his, we will begin to stand against the ways of the world. Prayer refocuses our perspective on the ways of God so that the kingdom can remain manifest among us. Learning to pray is much more than just learning a prayer, and we cannot simply learn to pray by learning to say specific words, but the repetition of such words are part of the discipline of prayer. 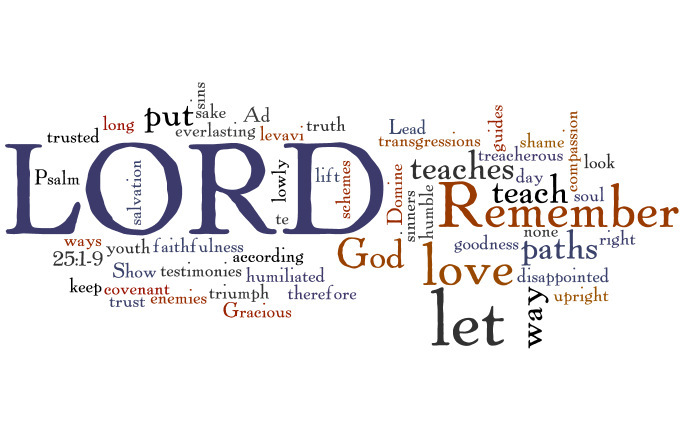 Sometimes we don’t realize it, but every time we read the words of scripture we are praying. Every time we sing the words from our hymnal we are praying. Every time we greet others around us in love we are praying. Living a life of prayer is not easy, but it is more fruitful than we can possibly imagine. Jesus’ own prayer life was obviously important to the disciples, and should be important to us. We learn from Luke 11 that prayer is about bringing to God our deepest needs and most perplexing trials and tribulations. Prayer is about waiting there in the midst of unknowing for light, love, and strength from the God who made each one of us. Prayer is the recognition and presentation of our lives before him as a holy and living sacrifice. Prayer is the understanding that true Christian living depends not so much on what we do and say, but rather what we allow God to do in and through us. Lord, teach us to pray. He is the image of the invisible God, the firstborn of all creation; for in him all things in heaven and on earth were created, things visible and invisible, whether thrones or dominions or rulers or powers – all things have been created through him and for him. He himself is before all things, and in him all things hold together. He is the head of the body, the church; he is the beginning, the firstborn from the dead, so that he might come to have first place in everything. For in him all the fullness of God was pleased to dwell, and through him God was pleased to reconcile to himself all things, whether on earth or in heaven, by making peace through the blood of his cross. And you who were once estranged and hostile in mind, doing evil deeds, he has now reconciled in his fleshly body through death, so as to present you holy and blameless and irreproachable before him – provided that you continue securely established and steadfast in the faith, without shifting from the hope promised by the gospel that you heard, which has been proclaimed to every creature under heaven. I, Paul, became a servant of this gospel. I am now rejoicing in my sufferings for your sake, and in my flesh I am completing what is lacking in Christ’s afflictions for the sake of his body, that is, the church. I became its servant according to God’s commission that was given to me for you, to make the word of God fully known, the mystery that has been hidden throughout the ages and generations but has now been revealed to his saints. To them God chose to make known how great among the Gentiles are the riches of the glory of this mystery, which is Christ in you, the hope of glory. It is he whom we proclaim, warning everyone and teaching everyone is all wisdom, so that we may present everyone mature in Christ. For this I toil and struggle with all the energy that he powerfully inspires within me. A few years ago, I was with a group of people from Northern Virginia who regularly traveled into Washington D.C. to help serve food to the homeless with a group called Sunday Suppers. The team would gather together on a Sunday afternoon, prepare countless bag lunches and a large dinner and then travel into the city. The point of the mission was not so much just to provide food for the hungry, but everywhere we stopped we would set up tables so that all of us could sit and eat together. The gospel is for all people and all minds. Throughout the book of Acts and the epistles Paul is notorious for using the contexts of particular people to help illuminate the glory of Jesus Christ. For the Colossians, he bends to their philosophical speculations to demonstrate the importance of Christ for the world. He searches for a point of contact and then pushes there again and again until the fullness of God in Christ permeates throughout their common understanding. For the Colossians Paul relates Christ to their Natural Theology, presenting God’s unique revelation of himself in Christ in the categories of thought with which they are familiar. He exalts Christ in terms that they would understand. This is how he spread the Good News throughout the Mediterranean. Throughout the history of the Church we have similarly tried to rediscover who Christ is for particular times and places. Pastors, preachers, and prophets have used many names and adjectives corresponding with peoples’ understandings. Jesus has been referred to as “The Good, the True, and the Beautiful, The Rabbi, The Turning Point of History, The Light of the Gentiles, The King of Kings, The Cosmic Christ, The Son of Man, The True Image, The Crucified One, The Monk Who Rules the World, The Bridegroom of the Soul, The Divine Human, The Universal Man, The Mirror of the Eternal, The Prince of Peace, The Teacher of Common Sense, The Poet of the Spirit, The Liberator, The Man Who Belongs to the World” (Chapter Titles from Jaroslav Pelikan’s Jesus Through the Centuries). We, like Paul, have continuously adapted Jesus to terms, ideas, and images acceptable to particular peoples and cultures. This has been an incredibly important element of the Christian message as we have made the Gospel approachable from many different places. And though we should continue to make the bible relevant for those outside the church, we have fallen prey to our own self-righteousness and sin. 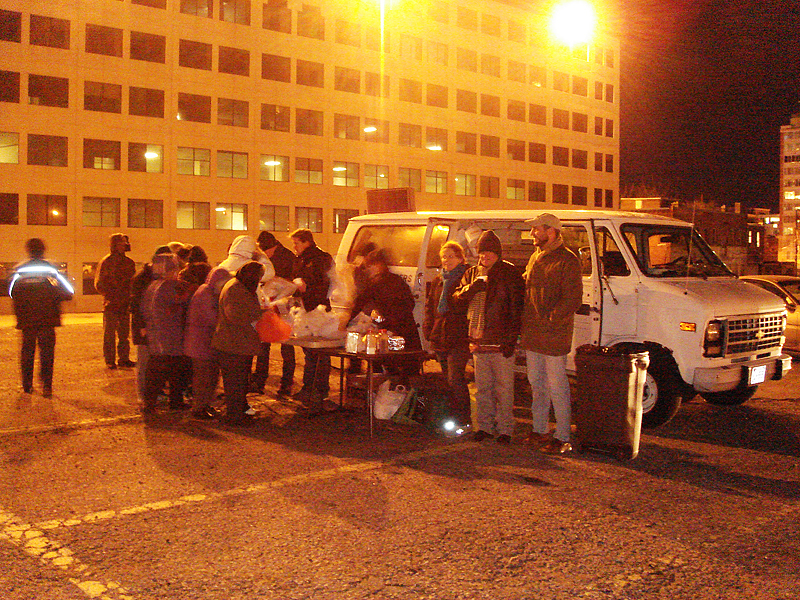 Like the group that night serving food to the homeless in DC, we often think that Jesus is walking along with us, that we are bringing Jesus to people, when in fact we should be following him because he is already there. We always try to make Jesus look just like us. Each successive period in Christian history has found its own thoughts in Jesus, which was one of the only ways to make him live, but we have continuously created him in accordance with our own desires, hopes, and character. We don’t realize it, but most of the times we think we find Jesus, its like we are looking into the bottom of a well – all we’re really seeing is a faint reflection of ourselves. Just look around our church, you can find all sorts of images of Jesus. Jesus with blonde hair and blue eyes, Jesus with slight stubble, and Jesus with a full-blown beard. I’ve seen pictures of Jesus wearing a black leather jacket standing in front of an American flag. I’ve seen images of an African American Jesus working in the fields in Pre-Civil War America. I’ve seen Jesus in jeans and a flannel shirt cutting down trees. I’ve even seen Jesus in a business suit speaking with clients. All of these portrayals are important. They get at the heart of Jesus being Emmanuel: “God with us.” They help to adapt Jesus to a particular culture and set of people, making him and his message relevant for the masses. However, when we use all these different images of “God with us,” We cannot forget that Jesus’ identity begins with God. Jesus is the image of the invisible God, the first born of all creation, fully God and fully human. In Jesus all things in heaven and on earth were created, things both visible and invisible. He himself is before all things, and in him all things hold together. For in him the fullness of God was pleased to dwell and through him God was pleased to reconcile to himself all things. He is the image of the invisible God, the word for image in Greek is εἰκών, meaning likeness or a representation. 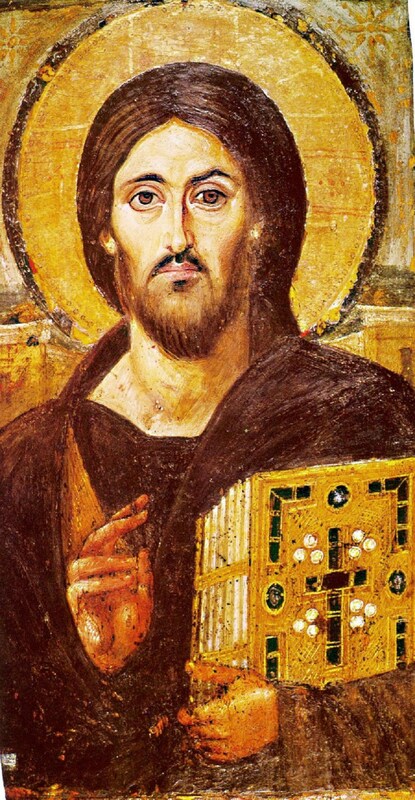 Jesus in not merely a picture of God but contains God’s likeness: literally divine. The letter to the church in Colossae contains all sorts of information necessary for the people to align themselves with the Lord. Paul uses the language of natural theology for them, he adapts Jesus to their culture, but he is unwilling to separate the identity of Christ from almighty God. Jesus is the image of the invisible God. The letter to the Hebrews also tells us: “Jesus Christ is the same yesterday and today and for ever. Do not be led away by diverse and strange teachings; for it is well for the heart to be strengthened by grace” (Heb. 13.8-9). Jesus is God with us, made incarnate to all people, but we must remember that in him the fullness of God was pleased to dwell in order to reconcile himself to all things; the same yesterday, today and for ever. Bishop’s Cho thoughts are relevant for us this morning as we consider Jesus being the image of the invisible God. We need to ask ourselves. Are we almost Christians? Do we live our lives in such a way that we assume and hope that Jesus is on board with us? Do we imagine that Jesus looks just like us, talks like us, thinks like us? Do we believe that God would be proud of the way we live our lives? Or are we truly Christian? Do we recognize that while Jesus is just like us, he is also totally unlike us? Do we follow behind Jesus letting him lead us? Do we love him with all of our heart soul mind and strength? Are we willing to allow ourselves to recognize that Jesus is in the people we encounter rather than us bringing him to them? Do we hope in God in Jesus Christ? Are we comfortable standing in the shade of the cross while looking for the glory of the resurrection? We’re not Jesus, and that’s a good thing. We gather together here to worship the remarkable God who became flesh in the man Jesus Christ, the man who walked and talked among us pointing back toward God. We no longer need to adapt Jesus to particular settings, but instead adapt ourselves to Jesus Christ. We are here, like Paul, to make the Word of God fully known. The scripture today helps to remind us that we are not Jesus Christ, but that we have the responsibility to be shaped by the Word of God to be the body of Christ for the world. God has chosen to show us the riches and glory of this mystery, we’re not Jesus, but Jesus is in us and is leading us toward the future hope of glory. To you, O Lord, I lift up my soul. O my God, in you I trust; do not let me be put to shame; do not let my enemies exult over me. Do not let those who wait for you be put to shame; let them be ashamed who are wantonly treacherous. Make me to know your ways, O Lord; teach me your paths. Lead me in your truth, and teach me, for you are the God of my salvation; for you I wait all day long. Be mindful of your mercy, O Lord, and of your steadfast love, for they have been from of old. Do not remember the sins of my youth or my transgressions; according to your steadfast love remember me, for your goodness’ sake, O Lord! Good and upright is the Lord; therefore he instructs sinners in the way. He leads the humble in what is right, and teaches the humble his way. All the paths of the Lord are steadfast love and faithfulness, for those who keep his covenant and decrees. I remember being really cold. I had walked out of my house in a hurry with books in one hand and my lunch box in the other. I jogged down the hill to the bus stop hoping that I would make it in time. As my feet swept over the damp and life-less leaves on the path I struggled to maintain my balance, hurrying to the sign at the bottom. After reaching my destination, and seeing my breach hanging in the air, I reached into my pocket in order to check the time on my iPhone, but my pocket was empty. In the rush out of my house that morning, I had forgotten to unplug my phone from the wall and place it in my pocket. So there I stood, all alone at the bus stop, waiting for my transportation to arrive, with nothing to do. Every other normal day I would pull out my phone, check some emails, send a few texts messages, play some games, listen to music, examine the news; But not that day. I stood there shivering and bored. After what seemed like an hour, but was probably only a few minutes, the bus arrived and I hopped on. As I made my way to a seat, I found myself even more frustrated that I had left my phone at home, and I would have to wait a whole 7 minutes on the bus with nothing to do. So I looked around hoping to strike up a conversation with someone on the bus in order to pass the time. My eyes scanned from back to front, side to side, and literally every single person on the bus was starring at their cell phone, or had headphones in. And that’s when I noticed the silence; no one was talking to anyone else. Admittedly I remember again wishing that I had not forgotten my phone, so that, ironically, I wouldn’t have to feel so lonely on the bus. We are increasingly moving away from a relational society, toward a functional one. We are so caught up in what we need and want that we put up blinders to those around us and we seek to serve ourselves rather than others. The advents of technological developments have benefited our society greatly, but at the same time I fear that they are actually driving us farther and farther apart. 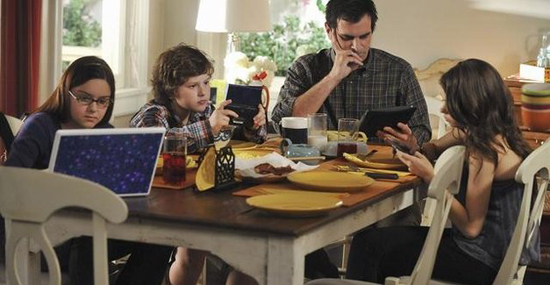 I no longer see families praying together at restaurants, but I do see families who are all on their cell phones at the same time. In a similar way we no longer know how to read anymore. We become so caught up with the quantity of texts rather than the quality. Young people are no longer taught handwriting in school, but instead are given computers that can spell-check their words faster than you could say them. Our culture is moving rapidly toward an increasing fast-paced existence and the church is barely holding on. Our culture has begun to reshape what the church looks like, what is says, and what it hopes to accomplish. I took a class at school during my final year of seminary where we were actively encouraged to tweet during a few class periods, which only resulted in me no longer remembering what we covered during those days. Now I’m not saying that any of these technological developments, or cultural shifts, are necessarily bad things, but what they say about us and how they affect us makes all the difference. When we approach something like the Bible today, it is nearly impossible to take it up in a way that rejects the pressures of our surrounding culture. We are not called to read the bible like everything else. We are called to be servants of the Word, rather than masters of the text. What we discover in the Bible, what we read, informs what we believe. And what we believe shapes how we behave. If we wanted to talk about Psalm 25 in the way that our culture would dictate I could deliver to you short and concise facts, so that you could become masters of the texts: Psalm 25, in its original Hebrew is an acrostic individual lament psalm. It can be attributed to the post-exilic period because of its acrostic form and its combination of hymnic and wisdom motifs. It contains three subsections: a prayer of faith, a description of the uprightness of God, and what to do when lonely or in trouble. But, if we wanted to talk about Psalm 25 in a way that we could be shaped by the Word, we have to slow down, we have to let it rest on our souls, and we have to listen for what the text is saying to us, rather than what we can dig out of it. The psalmist did not compose these words on his own behalf, but instead constructed a form of prayer that can be used by anyone who seeks help from God during a time of fear and frustration. Above all there is a confession of trust in the midst of a plea for help. This is not done because of religious constancy of blind faith, but because the psalmist knows of God’s unchangeable character. Our stories, our past with God, confirms our trust and hope in God. In the deepest and darkest moments of our lives there has always been a shimmer of God’s light ready to break through, we have never been abandoned to our own devices, but God has always resided with us in everything that we have done. O my God, in you I trust. Do not let me be put to shame; do not let my enemies exult over me. Do not let those who wait for you be put to shame, let them be ashamed who are wantonly treacherous. These enemies don’t have to be just physical beings; our enemies can be spiritual as well. How helpful might it be for us to personify the impersonal, and to imagine spiritual enemies worthy to be combatted? God do not put me to shame, do not let my addictions, do not let my doubts, do not let my fears exult over me. Some of us are terribly tempted, but all of us know what it is like to succumb to simple temptations. We make them more formidable by dwelling on them and continue to tempt ourselves. As the psalmist cries out, we should be ashamed of those easily avoided temptations. Like putting off calling your son or daughter who has been bothering you, like neglecting to reach out to those around you that truly need help, like pretending everything in your life is peachy when its really not. Do not let my enemies exult over me. This is perhaps one of the greatest and simplest lines throughout the psalms. If there was ever an ancient prayer that should be on our lips constantly it is this: “make me to know your ways, O Lord.” If we can learn to pray this sincerely, then we first need to be willing to be taught and to be changed. With open hearts, minds, and souls we can give everything we have to give in order to answer the demands that Christ places on our lives. There are times when the darkness will seem to overshadow and encompass all things, but we can trust that the Lord our God is with us. Make me to know your ways, O Lord. Be mindful of your mercy, O Lord, and of your steadfast love, for they have been told from old. Do not remember the sins of my youth or my transgressions; according to your steadfast love remember me, for your goodness’ sake, O Lord! Do not remember my sins God! How bold are we to ask this of the almighty, and how blessed are we that he hears this prayer? But just because God forgets our sin, that we can be forgiven for our wrongs and nothing divides us from the love of God in Jesus Christ, the consequences from our sins can continue to affect out lives. We can be courageous enough to call God to forget our sins because we are not defined by how, and how often we fall. There is also the spark of God within each and every single one of us and while there is life – that breath of life breathed into us by God – there is hope. It is certainly not always true that if we are good we shall necessarily be happy and prosperous. Bad things happen to good people. So how do we wrestle with this final verse: those who keep God’s testimonies remain unshaken in their confidence of the outcome for humanity as a whole, and for themselves as a part of that whole. Those who trust in the goodness of God, those who are shaped by the Word can be confident in what God will do through us and for us. The paths of the Lord are steadfast love and faithfulness so long as we remember that they come from the God who loves us. The first ten verses of Psalm 25 open up for us the depth of God’s being and give us a glimpse of what God has done, and will continue to do for us: Psalm 25 is a prayer that we can keep close to our hearts and lips because it conveys the spectrum of feelings that we experience within the world. The words are meant to be pondered over again and again, not something merely to be read quickly for understanding, but to resonate within our own lives and bear fruit. Being shaped by the Word allows us to enter into a state of being harmoniously in relationship with God. It gives us the capacity for praise and lament, slowing down our ways of life to remember that God is in control. It means that we cannot treat the Bible like an app on our smart phones, a website to be skimmed over, or even a 30 minute television show. If we can remember that the bible is the living Word of God then we will be thankfully open and receptive to the shaping purpose of God in all the circumstances of life, humbly yielded to being the word God speaks us forth to be for others. If we allow our lives to reverberate the Word of God, then we can begin to experience increasing levels of wholeness in our being because to be fully human, as the psalmist conveys, is to have a profound, unshakable, elemental trust in Yahweh as reliable, present, and strong. To be fully human means acting on the basis of that confidence in God even when He is not visible and everything attests to the contrary. I encourage you to come back to this psalm in times of distress or uncertainty. Read the words and let them sink into every fiber of your being because this psalm reminds us what it means to be shaped by the Word: to have everlasting hope, faith, and trust in God. We are called to be a people of hope, not in the sense of foolish optimism, but in the conviction that our destinies are powerfully presided over by the One who has greater plans for us than we can possibly imagine. I appeal to you therefore, brothers and sisters, by the mercies of God, to present your bodies as a living sacrifice, holy and acceptable to God, which is your spiritual worship. Do not be conformed to this world, but be transformed by the renewing of your minds, so that you may discern what is the will of God – what is good and acceptable and perfect. For by the grace given to me I say to everyone among you not to think of yourself more highly than you ought to think, but to think with sober judgment, each according to the measure of faith that God has assigned. For as in one body we have many members, and not all the members have the same function, so we, who are many, are one body in Christ, and individually we are members one of another. We have gifts that differ according to the grace given to us: prophecy, in proportion to faith; ministry, in ministering; the teacher, in teaching; the exhorter, in exhortation; the giver, in generosity; the leader, in diligence; the compassionate, in cheerfulness. Years ago there was a young man, fresh out of seminary, ready to begin serving his first appointment. He had taken all of the appropriate classes, learned from the best professors, volunteered in the local community and was excited to finally begin his ministry. After passing all of his boards and graduating from his elite seminary he packed his belongings and headed out into a rural area in the North Georgia Conference to John Wesley United Methodist Church. The young man was so anxious and filled with joy that he could hardly contain himself when he arrived in town the first day, so before he unpacked any of his possessions he drove by his new church. He got in his car and went to the listed address, but he missed the church. When he turned around he discovered what had prevented him from seeing the building – there was the oldest most decrepit looking tree with roots stretching all over the ground blocking the sign and most of the church from being visible on the road. In addition to the tree the young minister noticed that some of the hinges needed replacing and a new coat of paint could help too, but above all things he could not stand that awful tree. And so, before unpacking any of his important belongings, the young man found his chainsaw and went to work on the tree. By the time he had finished chopping it down he was incredibly proud of himself; the sign and building were now completely visible from the road and he thought that perhaps a few extra people might be in church on Sunday morning. You see, the church was named John Wesley church for a reason, nearly two hundred years ago John Wesley stood on the roots of that tree and preached to the people in the community about the overflowing grace of God, and they decided to build a church right where he stood, and that young minister had chopped it down. 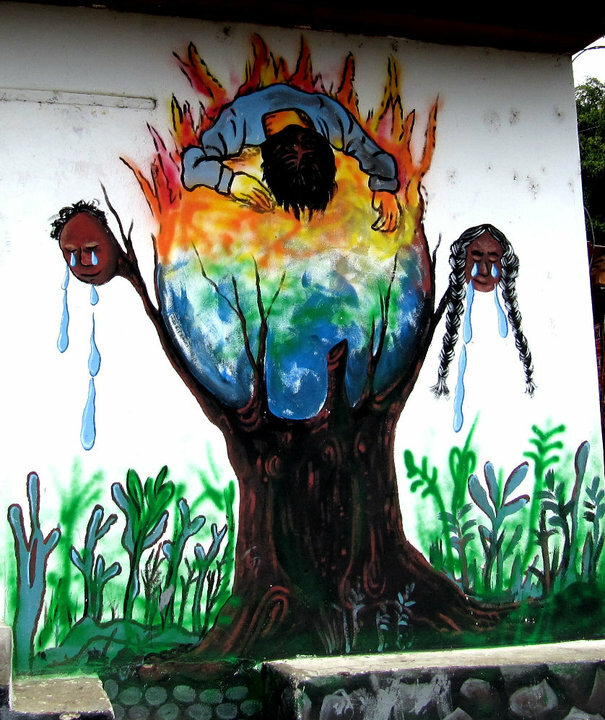 Stories are remarkably important. They contain everything about who we were, who we are, and who we can be. Stories held within a community help to shape the ways we interact with one another, and how we obtain the collective memories of the past. We tell stories to make people laugh, to teach lessons, and remember the important elements of life. Today, we live in a world of competing narratives; people and organizations are constantly bombarding us with information regarding what we are to think and, perhaps more frighteningly, who we are to be. It is nearly impossible to turn on the television, get online, or even drive down the road without someone telling us how we are supposed to understand the world. Every single day we are thrust into a world that tells us what we are supposed to think, speak, and do; that frightens me. The world is full of ways for us to discover our identities and they are insufficient when compared to our fullest identities in Christ. God’s Word, through the apostle Paul, looks out to the world and dismisses all of it. Do not be conformed to this world but be transformed by the renewing of your minds! Do not let your favorite reality television shows dictate how you interact with other people, do not let the news channel be the only way you understand the world, do not let your political persuasions limit your relationships with those who are different from you. Instead, be transformed by the renewing of your minds. Being transformed implies a willingness to let God enter your heart and soul and reorient you. Being transformed into God’s vision for who we are means recognizing that, if way say yes, it would be something great and glorious; but we also notice that saying “yes” carries with it a great consequence, for it will have a huge effect on the way we live our lives. Transformation, a true change in our lives, occurs when we are turned away from our sinful selfish lives back toward God. We are transformed by the renewing of our minds every time we enter this building to hear God and worship God. The story of the church is supposed to be shaped by the greatest story ever told, God becoming flesh in Jesus Christ in order to reconcile the world unto Himself. 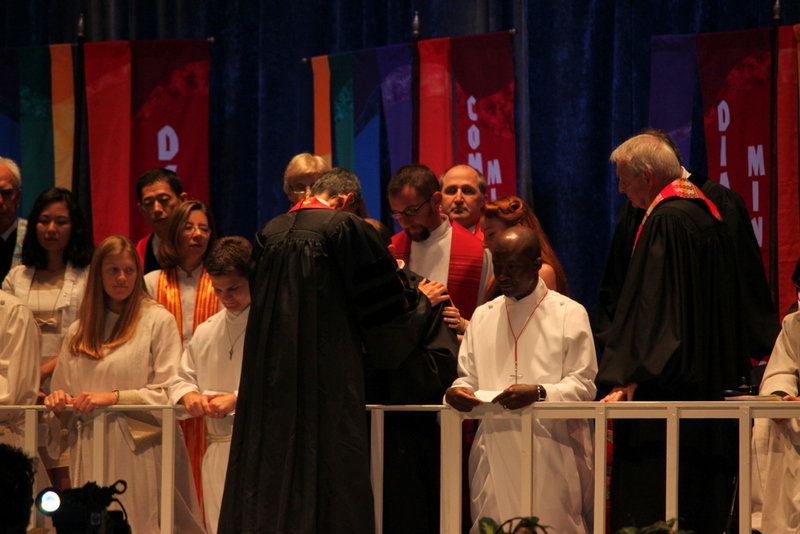 Last weekend I had the privilege of kneeling before 3,000 Methodist from the state of Virginia and was commissioned by our Bishop as a Provisional Elder for our great denomination. According to the ways of the world this is perhaps the worst time to enter ministry. Mainline Protestant Christianity is floundering in the United States, people are no longer attending churches, worship attendance in plummeting, and Church buildings are being closed regularly. Christianity has lost its status in the political arena, we are becoming biblically illiterate, and young people are largely absent from worship. The average age of a member of a United Methodist church is 57. I cannot begin to tell you how many people tried to dissuade me from entering the ministry at this point in my life because of these facts; because by the world’s standards, this is not the time for ministry, nor is it the time of the church. Thanks be to God that we do not need to be conformed to the ways of the world, but instead get to be transformed by the renewing of our minds. At the beginning of the Gospel according to St. Mark, Jesus begins his Galilean ministry by proclaiming: “The time is fulfilled, and the kingdom of God has come near; repent and believe in the good news.” In this one solitary statement, everything about the world has been changed. From this point forward God’s actions in the world will dictate how history takes places, how everything will be transformed, and how we can understand who we are to be in God’s story. My story begins when I was baptized at Aldersgate UMC in Alexandria, Virginia when I was 19 days old. That church took the baptismal vows seriously and they raised me in the faith: I learned about the goodness of God from Children’s message, sermons, and the Bible. I helped establish the first youth band in the church, led bible studies, and ran the sound system for Sunday services. I was made part of the body of Christ and invited to participate in any way that I could. After one of my dearest friend’s died in a car accident I found myself praying more than I ever had before and started wrestling with a call to ministry. I majored in Religious Studies and Philosophy at James Madison University and eventually enrolled at Duke Divinity School in order to obtain my Masters of Divinity. 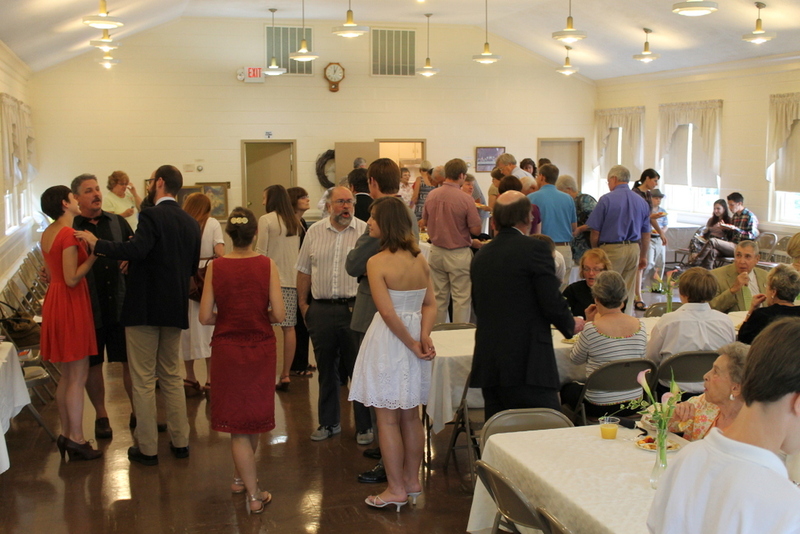 I interned at numerous churches helping in a variety of ways from Bryson City, North Carolina to Birmingham, Michigan. I have led mission trips to places all over the United States and abroad. I have sat with people during the darkest moments of their lives at Duke University Hospital, and I have celebrated baptisms and the Lord’s Supper with people who earnestly desired them. But none of my experiences of the church could compare to this morning. In my life I have never been more nervous, excited, thrilled, terrified, humbled, or blessed than I am right now in this pulpit. We are standing at the precipice of a great journey. We get the privilege to gather together as a community of faith every week to share the Good News of God. As we live and move and have our being in God almighty we will enter this place as the body of Christ to proclaim God’s kingdom on earth. I cannot wait to learn about how God has impacted your lives, made you into the individuals you are, and brought this church together. We get to share our stories with each other because they reveal the great things God is still doing in the world. The stories of the world can never compare to the actions of God in the world through Jesus Christ. Whether you’re a brother or a sister, mother or father, republican or democrat, rich or poor, none of those narratives, none of those identities, compare with what it means to be Christian. According to the ways of the world the church is in a difficult place. But I’m not worried about any of that, I’m not worried about anything because my hope is not in me, my hope is not built on the ways of the world, but my hope is built on nothing less than Jesus Christ. Christ is the solid rock upon which this church stands, comforting, nurturing, and sustaining us in all that we do. We can believe in the future of the church because our faith is in almighty God! We are here to share our stories so that we might learn more about how we are caught up in God’s story. The ways of the world are nothing but sinking sand, they can be shaken and moved by the slightest wind but God’s story is eternally unshakable and unmovable. Be transformed by the renewing of your minds! Remember your truest identities in Jesus Christ; allow the scriptures to wash over you so that you can remember who you are, and whose you are. Listen to the stories of your brothers and sisters so you can remember how God continues to act in your lives every single day. The kingdom of God has come near! Do not be conformed to this world, but be transformed by the renewing of your minds! Mid-way through my time in seminary a group of us were regularly gathering for intentional faith formation. Our group was made of 20-something Christians both in and outside of Duke Divinity School. As we met on a weekly basis we learned more about one another’s faith, and what had led each of us to Durham, and our present relationship with God. On one particular evening we were discussing the differences between adhering to the law, or the righteousness of faith, when one of my roommates told the story of why it had taken him so long to return to the church. Those are the kind of scare tactics that move people away from the church. In the fourth chapter of his epistle to the church in Rome, Paul addresses the differences between adherence to the Law and the righteousness of faith. Paul’s use of the Old Testament figure of Abraham is of fundamental importance for the message he intended to share with the Roman church: Though the reasons behind his attention to the relationship between Jews and Christians in the first century are helpful for understanding Paul’s frame-of-reference, the point still remains pertinent today. God’s promises to God’s people are revealed and realized through faith. Paul begs us to remember Abraham, the father of Israel, because God promised Abraham that he would inherit the world and this inheritance was not realized through adherence to the law, but through the righteousness of faith. The promise of God was coming to Abraham regardless of his ability to maintain the ordinances declared by God. God would never love Abraham any more or any less than he did the day the covenant was made. For this same reason, God’s promises are realized through faith not only to the adherents of the law, those among us to do everything right, but also to those who share in the same faith as Abraham. Abraham, formerly known as Abram, called out of his homeland to travel to the land that God would send him, promised to be made a great nation, entered into the holy covenant with God marked by circumcision, the husband of Sarah and the father of Isaac. The man who carried his young son to the land of Moriah where he prepared to sacrifice him only to be stopped by an angel of the Lord, and thus Abraham continued to demonstrate his faith. Abraham the father of the great nation that eventually made its way out of Egypt and into the Promised Land. Abraham. God’s promises are realized to those who share in the same faith as Abraham. We, the Christian Church, share in this same faith and have been grafted into a relationship with the triune God. With God’s help we will proclaim the good news and live according to the example of Christ. We will surround him with a community of love and forgiveness, that he may grow in his service to others. We will pray for him, they he may be a true disciple who walks in the way that leads to life. The commitment this church made to God that morning regarding my life as a Christian was one that formed and shaped me into the man I am today. Among the many things that this church committed to, it was the first part of the response, “With God’s Help,” that has made the biggest impact on my life. From my infancy, Aldersgate UMC has been the type of community that recognizes how what we do can only be accomplished with God’s help; that has made all the difference. Instead of being raised in a church where I was taught to fear God, like my roommate from seminary was, I was constantly reminded of how to remain committed to the gospel through hope, faith, and love. The true beginning of my call to ministry did not begin with my confirmation around that altar, or even when I was a Boy Scout with troop 996, but when I was 13 years old I noticed a call for help in one of our Sunday bulletins for someone to run the soundboard. (It gave me goose bumps to see a similar message in the bulletins from last week). I spent every Sunday for a month standing in the back of the church with men like Bud Walker and Paul Corrum who taught me how to keep the correct sound levels. And until I graduated from High School I ran the sound system for many of our Sunday services, weddings, and funerals. Though I was considerably younger than anyone in the back of the church, men such as Paul Tuoig, Bob Foley, Les Norton, and Sam Schrage made it a point to come stand with me every week and treated me with respect, like an adult, and they treated me like a fellow Christian. There have been countless individuals from this church who have made it their responsibility to demonstrate the goodness of God through their actions on mission trips, meetings, and worship. With God’s Help we will proclaim the good news and live according to the example of Christ. After enrolling in college I was invited to act as a ministerial intern for our church every summer until I entered seminary. I was encouraged to lead mission trips all over the world, visit congregants who could no longer attend church, create bible study curricula, and preach regularly. I still can’t believe that Jason and Dennis were foolish enough to let me preach for the first time when I was 19 years old. A plethora of people have expressed their gratitude for my sermons, and leadership on mission trips, but even more important have been those of you who disliked what I said and did, and loved me enough to tell me why. Without you I could not have grown. With God’s Help we will surround him with a community of love and forgiveness that he may grow in his service to others. 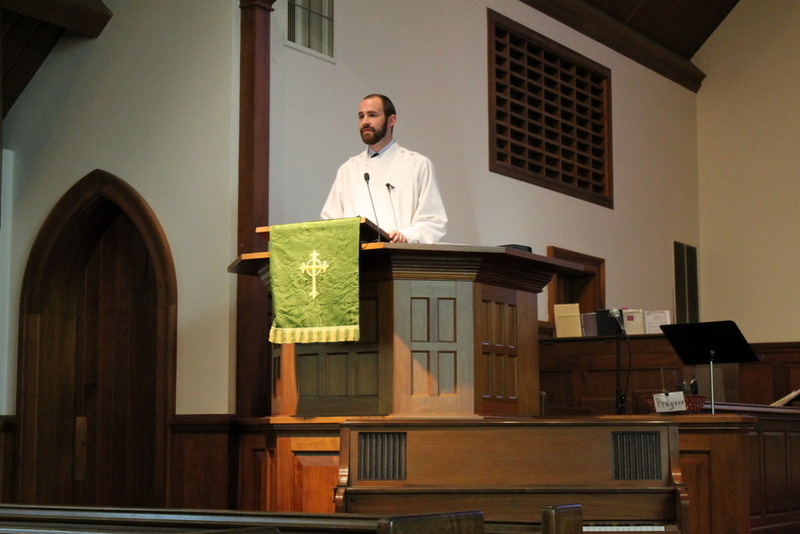 I have been living in Durham, North Carolina for the last three years working on my Masters of Divinity and I have been continually invited to preach from this pulpit. Even if I was invited on specific weekends when Jason and Dennis wanted to go on vacation I nevertheless appreciated the invitation and felt privileged to proclaim the good news within my home church. 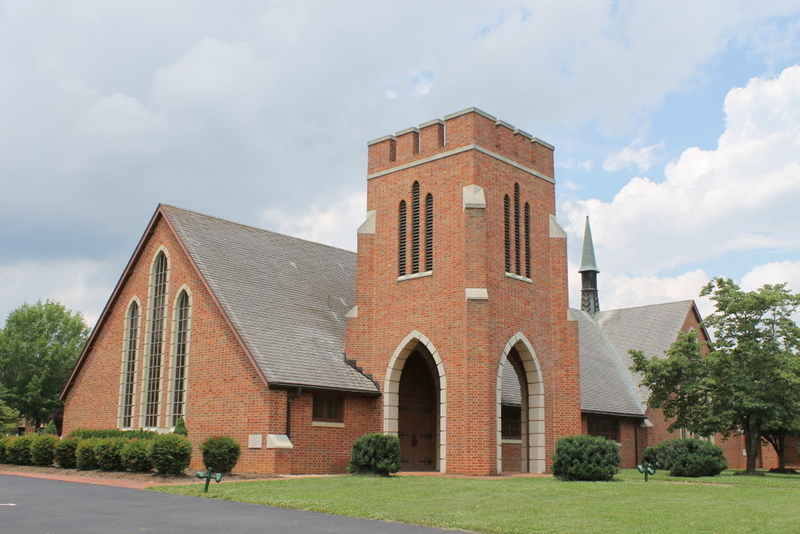 I have now been approved by the Virginia Conference to serve as a Provisional Elder and have been appointed to St. John’s UMC in Staunton VA. I am incredibly humbled by the fact that, to my knowledge, I am the first person to have grown up through Aldersgate and then pursue a call to ordained ministry. With God’s help, we will pray for him, that he may be a true disciple, who walks in the way that leads to life. I was incredibly blessed to have grown up through Aldersgate. It was this Christian community that showed me the importance of faith predicated on God’s help. Faith was never taught to me in such a way that I would respond to God out of fear but instead by love. This church nurtured me in such a way that the question: Have you accepted Jesus Christ as your personal Lord and Savior felt uncomfortable and dissonant. It puts too much power and control on our side of the equation. Accepting Jesus sounds a lot more like following the Law than it does embodying the righteousness of faith. If the church is to be thought of from this legal point of view, from simply accepting Jesus, if it is regarded as a condition capable of human attainment, then the church will remain deprived of its dynamic power and continually insecure. This is why I fear that so many young people are no longer coming to church; perhaps they feel completely isolated regarding their relationship with God after accepting Jesus Christ as their personal Lord and Savior. Maybe they believe they carry the burden of their relationship with God completely on their own. Convincing someone to accept Jesus is an important element of Christian discipleship but the difference between accepting Jesus, and confessing Jesus Christ as Lord are two different things. Aldersgate never let my relationship with God stop at acceptance, but pushed me to learn so much more about what it means to be a disciple of Jesus Christ. It is my prayer that the new faith community that this church is preparing to help establish will continue to make disciples of Jesus Christ teaching that faith is faith only when it is an advance, understandable only because if come from God alone. Faith is creative, faith is living, faith is fulfilling, only when we find ourselves wrapped up in God’s love. Faith is real only when it is found With God’s help. As I look forward to my future in the ministry, I am thankful for Aldersgate, the opportunities it has provided me, and the people that have demonstrated God’s love to me. I would not be standing here if it were not for that baptismal commitment you made to God twenty-five years ago. I never could have discovered faith in God on my own; it was this church that shared the faith of Abraham with me regarding God’s promises to God’s people. I learned the language and grammar of Christianity through sermons, classes, and even vacation bible school. I participated in God’s kingdom on earth by visiting those who were in need, through proclaiming the good news, and even dressing up for living Bethlehem. Paul’s words to the church in Rome have now come alive for me, because this church committed to raising me in the faith, to share the faith of Abraham with everyone, and proclaim the good news of God’s kingdom. This church taught me that the truly creative act by which we all become the children of Abraham does not lie in the possible possibility of the law, but in the impossible possibility of faith. It’s when I open up to the fourth chapter of Romans that I am reminded of what this church does every day, every week, every month, every year; you open up the strange new world of the Bible. We get to stand on the rocky ground and feel the warmth of the burning bush on our cheek with Moses. We get to feel the water flow between our toes as we wait on the banks of the Jabbok witnessing Jacob wrestle with the angel from God. We get to gather together in the marketplaces and the shores of the lakes watching Jesus perform miracles, feed the multitudes, and teach about the kingdom of God. This church invites us into the strange new world of the Bible. Just as you made a commitment to God regarding my faith 25 years ago, you also have committed to nurture those sitting to your right and left in faith. To show them Christ’s love in everything you do, to embody the kingdom of God so that we all might share in the faith of Abraham. With God’s Help we are called to proclaim the good news, to gather together regularly in order to share the story of God’s interaction with God’s people, to read scripture and learn our own story. With God’s help we are commissioned to live according to the example of Christ, to lift up our own crosses and bear them in the world, to serve those in need, to love the unlovable and transform the world by first transforming ourselves. I thank all of you from the bottom of my heart. To God Be the Glory.